From strategic think tanks and corporate brainstorming to team-building workshops and conferences, Msinsi Resorts and Game Reserves can make it happen for you . . .
Corporates can host small to medium-sized groups for focused conferences or workshops where their creativity will turn wild and wonderful to our event venues. Choose between these options – accommodation can also be booked for your delegates at all our reserves, as can extra leisure and motivational activities in our reserves such as game-drives and fishing. Thatched Gazebo, Bon Accorde Resort: The tranquil open waters of Albert Falls Dam and the lofty Karkloof Hills beyond make this a creative and relaxing space for corporate groups to meet. You’ll be able to accommodate 100 delegates with tables and chairs or 150 with chairs only. Conference Centre, Nagle Dam: This pretty thatched sandstone building is perfect for those who want a conference or workshop with no other distractions than the restful natural setting of the dam below and the surrounding mountains. The Nagle Conference Centre accommodates about 30 delegates and we offer a series of menus to be prepared by our local chef. Conference Hall, Albert Falls Dam: This well-equipped and popular hall accommodates up to 250 delegates. The venue is supplied with 20 round tables and 200 chairs. Thatched Conference Boma, Albert Falls Dam: Bring a smaller group of up to 40 delegates here for an inspiring session that makes the most of the glorious view over the reserve. 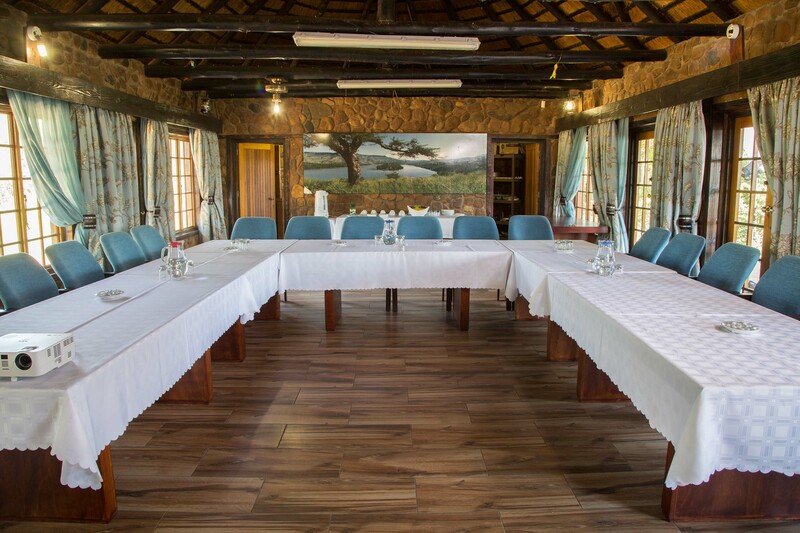 Conference Hall and Lapa, Hazelmere Dam: Hazelmere’s airconditioned hall is popular for small functions and comes fully equipped with tables and chairs, as well as a small kitchen. For an open-air function for up to 30 people, consider booking the Lapa at the Top Campsites. This also has a washup area. 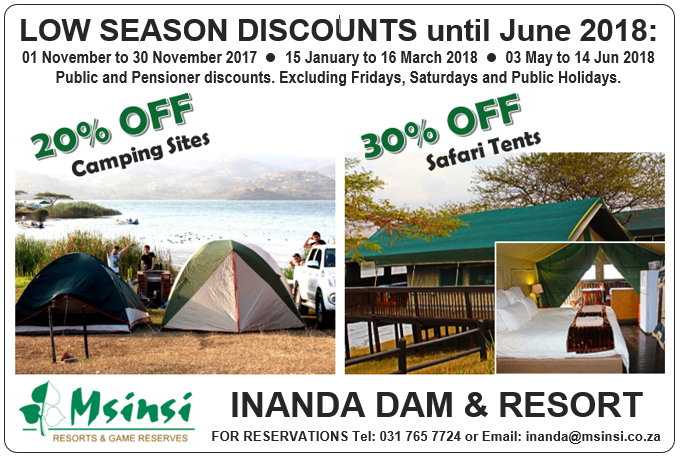 Marquee: Another option is to talk to us about a demarcated area to erect a marquee in any of our reserves – bring your own marquee or hire one through Msinsi Resorts and Game Reserves. Our marquee accommodates 200 delegates and comes complete with tables and chairs. Portable projector: This can be booked for any of our conference venues - please advise us when making your reservation.